I started playing volleyball almost 2 years ago. At first, I started with indoor and then found myself on the beach. I started as a beginner learning from the best – Rose Washington! Before I knew it, I became part of Sandstorm. Sandstorm has a great group of coaches that are dedicated, they help the players strive to be the best and are passionate about the sport. With a lot of dedication, hard work and great coaching I’ve improved my game immensely. I’ve also met a bunch of really nice girls that are as passionate about the sport as I am. I look forward to training every week and I really like participating in tournaments. The best part of beach volleyball is that it’s only you and a partner and you get more touches on the ball. Playing on sand is definitely challenging but there is nothing more exciting than long rallies and getting impossible balls while soaking in the hot sun. Don’t get me wrong, it’s a lot of hard work running around in the sand and covering a vast area but at the end of the day it is very rewarding. The best part is that I never get tired of the sport and always find a way to practice or play. People dream all the time. 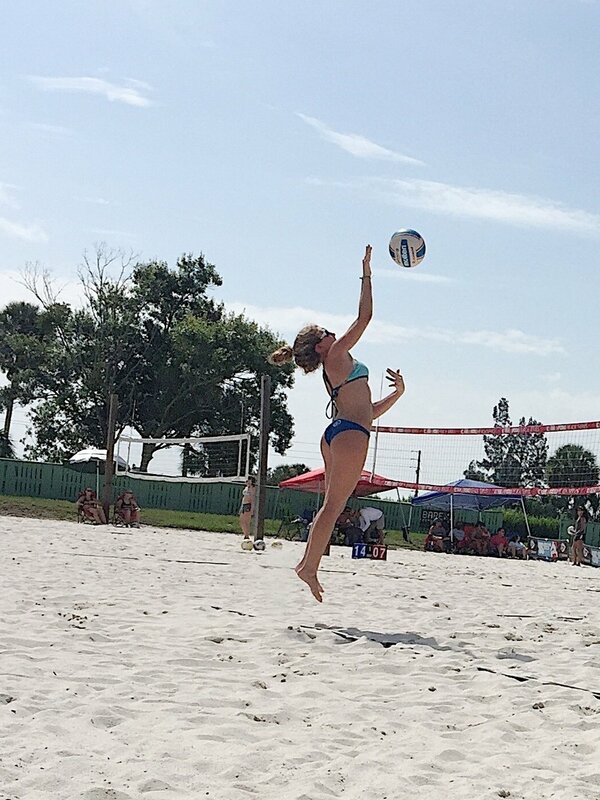 My dream is to continue loving beach volleyball and staying dedicated while trying to one day make it on a college team. With the positive and dedicated coaches I have there should be no reason why my dream won’t turn into a reality. At the end of the day, I am learning a lifelong sport that will continue through adulthood.